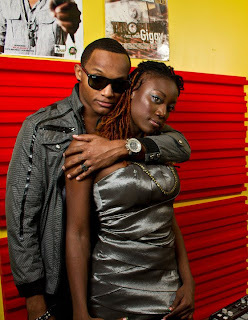 The wait is finally over for dancehall recording artists Leftside and Mystic who world premiered the video for their mega crossover singles "Want Yuh Body Remix" last Friday night on Jamaica's premier entertainment program "ER". After weeks of anticipation the buzz behind the video was transformed into excitement as fans rushed to popular social networks Twitter and Facebook to voice their overwhelming approval of what many consider the "Hottest Girl Anthem" of 2010. The video which was directed by Icey Jace Film Factory was originally conceptualized in mid September when Leftside born Craig Parks began a U.S promotional tour for the single. After returning to Jamaica in early October the video was shot on location at the Lime Light in HWT a popular venue for weekly events such as Fresh Fridays and Bounty Sundays. With post production work from Simeon Hedge Concepts "Want Yuh Body Remix" embarks on bring the authentic dancehall culture to the world with flashy titles, fancy dance moves and a unique color overlay. A production of Leftside's own Keepleft Records "Want Yuh Body Remix" is the second official video for dancer / recording artist Mystic who is looking to carry the success of the single into 2011.